Ellie is SendGrid's Marketing Operations Associate. She works closely with customers to make sure that they're getting the most out of their SendGrid experience. 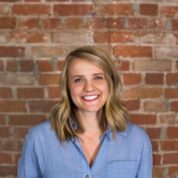 As an email veteran, Ellie enjoys testing strategies in SendGrid's own email program, so she can bring the latest best practices to our customers. A Colorado native, you can find Ellie exploring the mountains year-round or enjoying live shows across Denver and Boulder. Web API or SMTP Relay: How Should You Send Your Email?